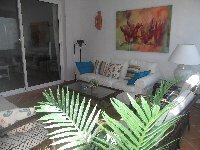 Lovely and very spacious 3 bedroom/3 bath/2 terrace ground floor apartment fully equipped and furnished to a high standard with beautiful decor available for holiday rentals. 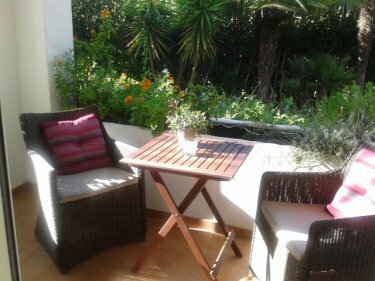 This apartment is just 50 metres walk to the beautiful sandy beach of Costalita where there are 2 very good beach bar/restaurants. 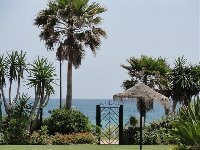 The beach can be accessed through the beautifully landscaped gardens (mno roads to cross). 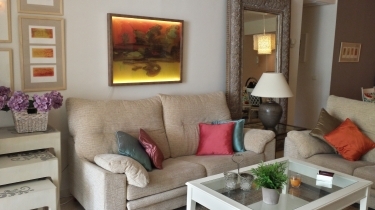 The complex has 24 hour security, a promenade on the beach for taking a nice evening walk, several swimming pools and underground parking with lift access to the apartment. 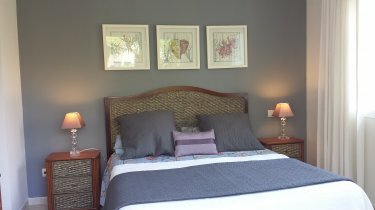 The apartment has 3 good sized bedrooms, 2 of which have their own en-suite, and 2 terraces. There is also a separate bathroom. The kitchen has all appliances including a dishwasher, washing machine,tumble dryer microwave, fridge freezer, toaster, juicer, blender etc. There are 2 tv sets (a 40 inch flat screen LED TV in the lounge and a smaller one in the master bedroom) and DVD and CD players. There is also a safe for valuables and WIFI. Within close walking distance is the Playabella Hotel with Spa facilities, hairdressers and newspaper shop. The Villa Padierna Tennis club is close by with restaurant facilities, tennis coaching and children's play area. The village of Cancelada is within a 15 minute walk with many restaurants and bars, as is the Mercadona Supermarket. 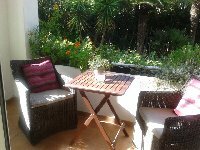 Costalita is on the Bus route between Estepona and Marbella via Puerto Banus and hence just a few minutes each way. SHOULD YOU FIND YOUR PREFERRED DATES ARE UNAVAILABLE, PLEASE ENQUIRE AS I MIGHT BE ABLE TO OFFER AN ALTERNATIVE 2 OR 3 BEDROOM APARTMENT. 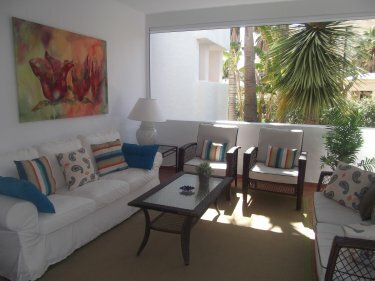 2 bed/2 bath apartment also available. Please enquire.